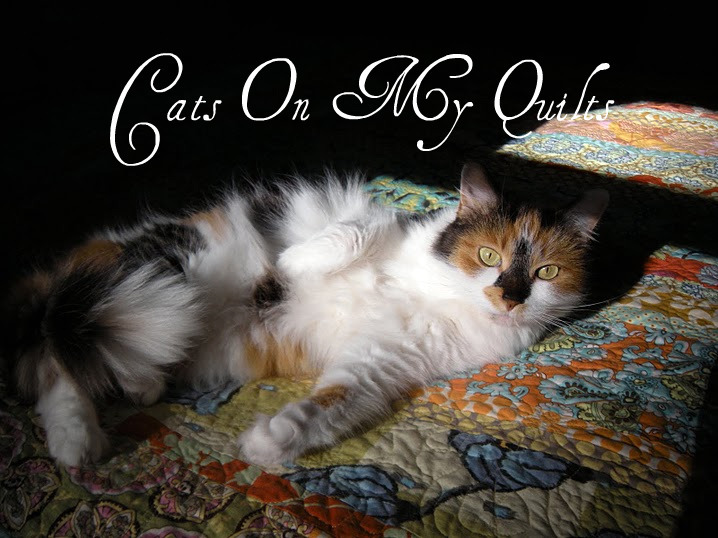 Cats On My Quilts: Some Blog Candy I Won! Some Blog Candy I Won! I was lucky enough to win a blog giveaway by Heather Mulder Peterson and my package arrived today. 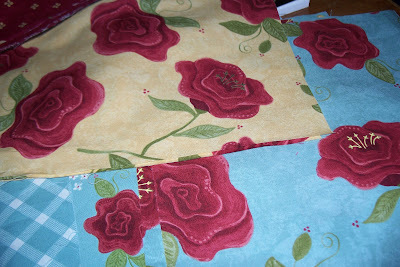 It's her new line of fabric called Rebel Roses and I received a layer cake of the whole line from her. I love large prints so I really love these big rose prints-the rebel roses I'm guessing! The combination of colors and prints are wonderful. Now what shall I make? I have a couple of Heather's books and a couple of her Little Charmers patterns so I'll play with the fabric for a while and make something soon. 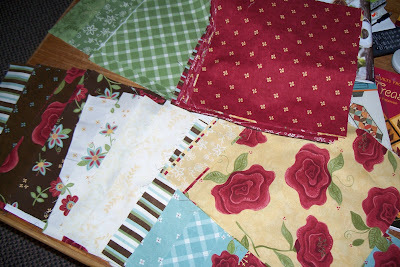 As soon as I finish grandson Cater's quilts which are still on the design wall. Work gets in the way but it's Spring break next week so I have some time off so I'll be in the sewing room if you're looking for me. gorgeous line of fabric! congrats! You're a lucky lady. I love her patterns and style. Be sure to show us what you do with them. How fun! It looks like the start of something great. Look forward to seeing your project. wonderful fabrics!! wow!! can't wait to see what you do with them.. congrats. Lucky for sure...they are beautiful. You are a lucky lady! I just love Heather's patterns and fabric! Can't wait to see what you create. How fun! Pretty, pretty fabrics. Looking forward to what you'll make with them. Next week should be fun me thinks! Well Caryl dear, seems to me your mother (me) gave you a sewing machine that can sew quilts. 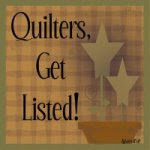 Try it, you'll like it because I know you can sew! Oh are you ever lucky! I covet that fabric line! And a needle in my hand. I am a wife, mother of a grown son and daughter, mother-in-law, grandmother of two grandsons, keeper of a calico cat, quilter, continuous decorator of my home, and owner of way too much fabric and just trying to have fun in my great life. Please do not use any pictures or writing on this web site without my written permission.